Another recipe demonstrated at the 2015 Caravan, Camping and Motorhome show is a quesadilla. 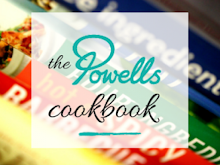 Originating from Mexico the quesadilla is a quick, simple but oh so tasty lunch or supper. It is basically a round flour tortilla stuffed with a savoury filling and cheese then folded in half and cooked in a frying pan. You can really go to town with the fillings but my children’s favourite is a simple chicken, sweetcorn and cheddar cheese that we cook on the barbecue and call barbecue butties! If you have a spicy tooth then do add chopped chilli’s or your favourite chilli sauce and vegetarians can try peppers, tomatoes, mushrooms, etc. 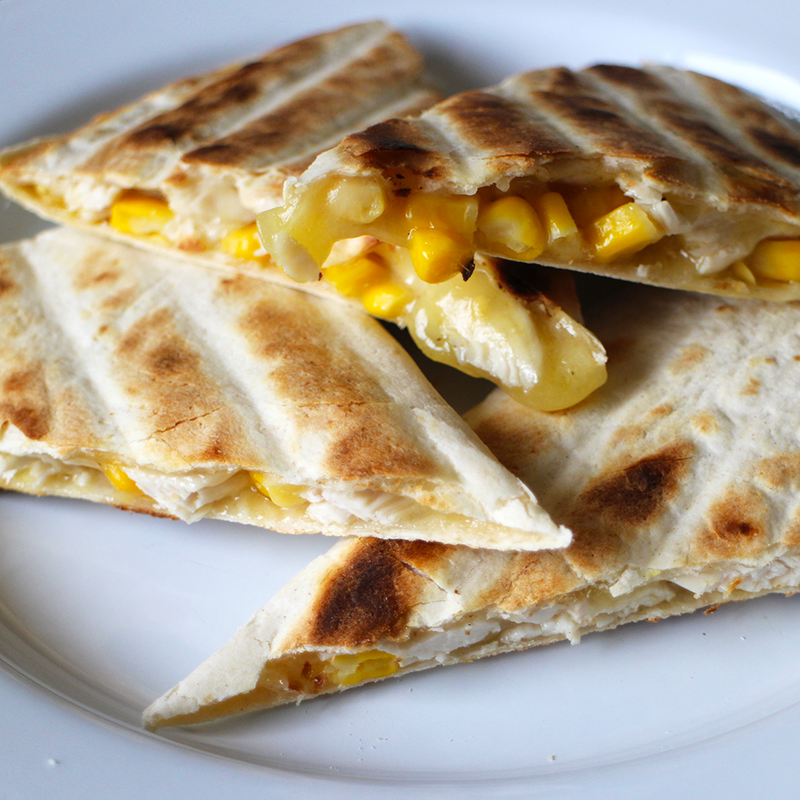 You can have a lot of fun trying different fillings, in fact quesadilla’s remind me of the breville sandwich maker I had in the 1990’s! 1. Cover half of the tortilla with half of the cheese. 2. Cover with the chicken and sweetcorn and season. 3. Top with the remaining cheese and fold the tortilla in half. 4. Oil the hot grill and place the quesadilla on it. You will need to flip the quesadilla so leave enough space on the grill to do this. 5. After about 2 minutes slide a fish slice under the open end of the quesadilla and flip it over the fold to do the other side. 6. When the cheese is all gooey and melted and the tortilla is nicely toasted remove from the grill. 7. Cut into quarters and eat straight away! 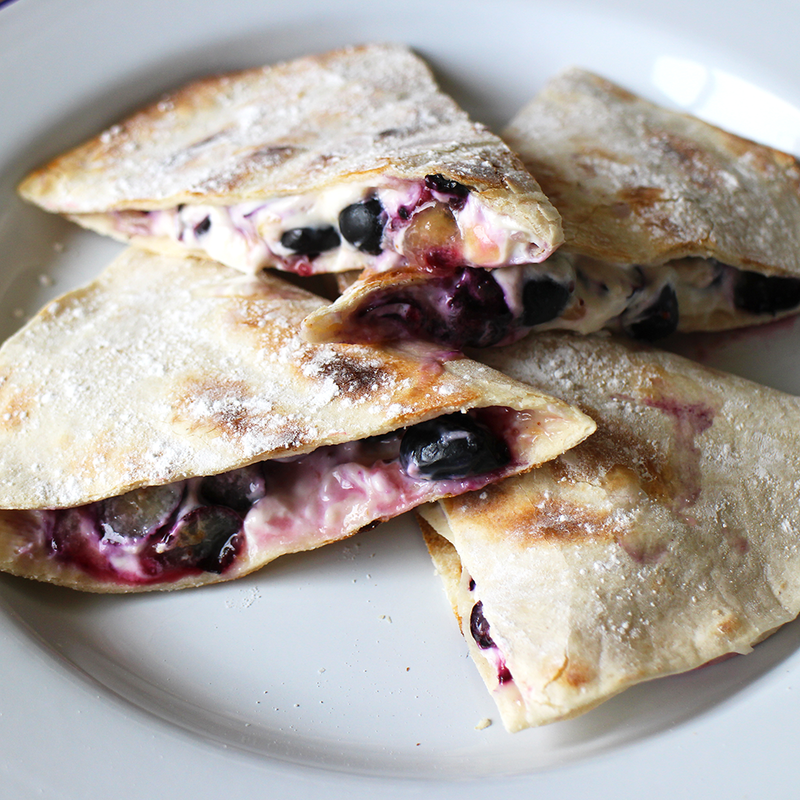 If you have a sweet tooth you can also use quesadilla’s for dessert using fruit, sugar and cream cheese. They’re a bit like a warm crunchy cheesecake and definitely worth experimenting with. I’m simply using blueberries here but strawberries, raspberries, gooseberries would all work well. 1. Spread the cream cheese over the whole of one side of the tortilla. 2. Roughly chop the blueberries and scatter over half of the tortilla and sprinkle with 1tsp of sugar. 3. Fold the tortilla in half and gook on the grill the same as the savoury quesadilla above. 4. Cut into quarters to serve and dust with icing sugar if you have some.